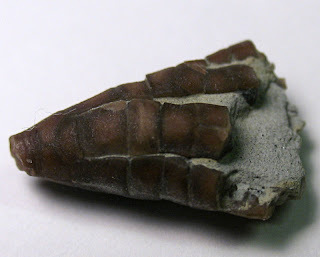 Finally I have found an Ordovician Period crinoid calyx. 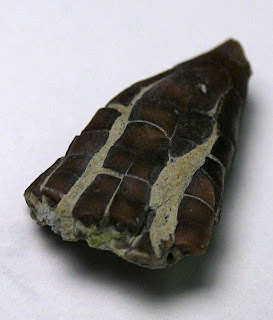 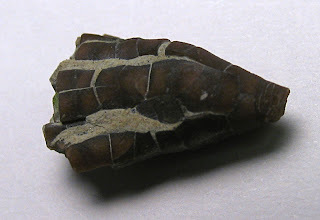 This calyx is from the Kope Formation of Carroll County, Kentucky. 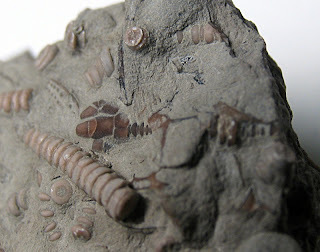 I am not sure on its identification, the Dry Dredgers of Cincinnati, Ohio have a good guide on Ordovician crinoids. 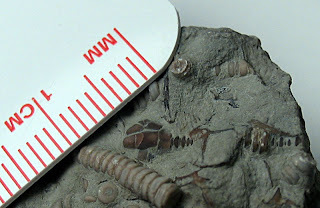 Their site shows a number of fossils that look like it found in the Kope: Cincinnaticrinus varibrachialus, Merocrinus, and Ectenocrinus simplex. 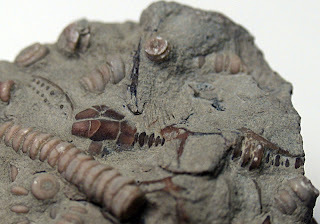 Crinoid calyx and stem still in matrix. 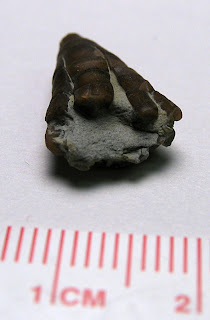 Hopefully, some prep work will reveal much more of this fossil covered by rock matrix.